In general, restaurants in Laganas serve basic food – fried seafood, probably imported from China, meat with French fries, and burgers. 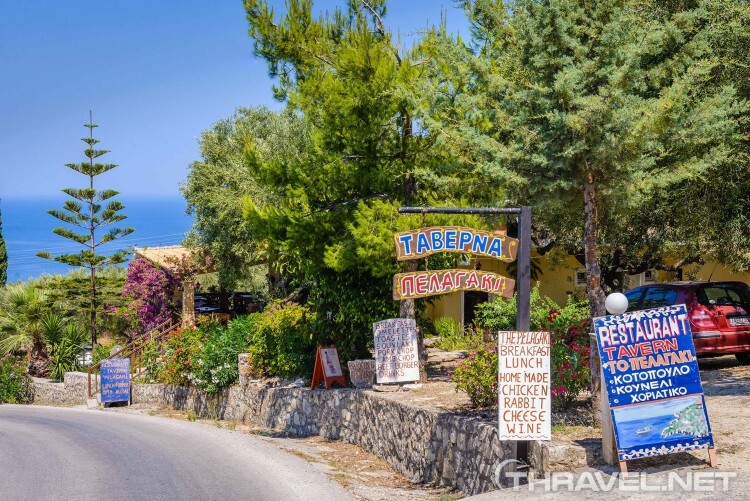 First day of our stay we tried the Panos tavern, located on Kalamaki Road. Our host in Laganas, Yorgos recommended this place as a nice restaurant serving delicious local meals. Yet we were disappointed – the octopus smelled like sausage and the house wine was poor quality. Only the Greek salad was fresh and tasty. After this unpleasant experience, we decided to eat out of Laganas. The only decent place for lunch was Sizzle band on Kalamaki Road where they serve the best pita gyros in the city. The price of a portion was 4-5 euros. The service was very friendly and at the end of the lunch they serve a complimentary fruits plate. Here are the best places to eat in Zante. 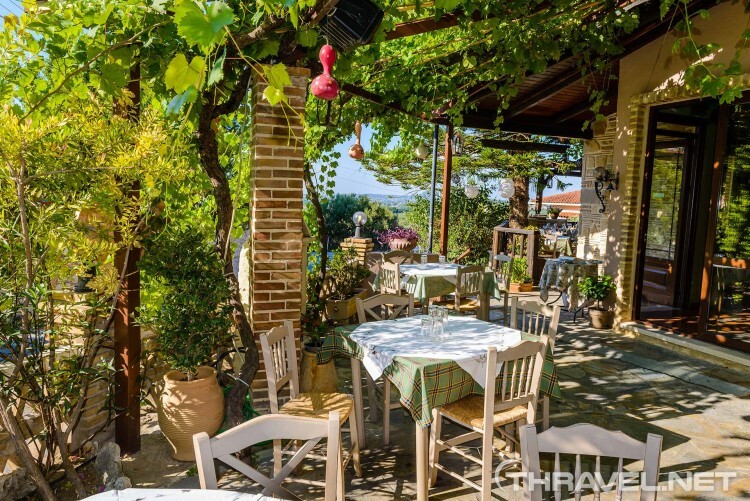 This family run tavern is a lovely place to eat in Zante. Pelagaki is located on a green hill, on the way from Zakynthos city to Xyigia beach. The terrace is overlooking the Ionian sea. Service is friendly. We saw this restaurant on our way to Makris Gialis. We stopped there because of the authentic atmosphere and rich vegetation in the garden. 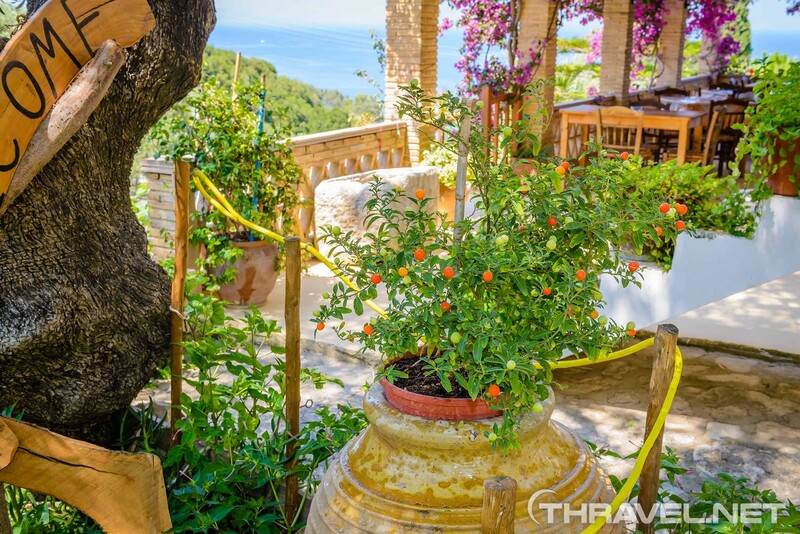 The first thing we liked about this place was the panoramic view from the lovely terrace. Once we tried the cuisine, we were in love with the tavern. We liked fresh ingredients and homemade meals. During our Zakynthos vacation, we have eaten here twice. Each time started with delicious homemade tomato and garlic bread. All of the dishes were superb. At the end they served us a complimentary house white wine and free. The meal for three cost us approximately 30-35 euros. Sitting on a hill above Porto Limnionas beach, Sunset Restaurant offers an amazing view over the Ionian sea. The restaurant is located in the village of Agios Leon and it is the first stop for dozens of tourists who are thirsty and hungry after a beautiful day spent on Limnionas beach. Yet speaking about Sunset restaurant, I’d rather say not to eat there. We experienced bad service and poor quality food – all we tried was over fried and oily. Rakomeladiko is a stylish restaurant hidden behind the main square in Zakynthos city. Being located in the heart of the town, the tavern is in a peaceful pedestrian street. The restaurant serves traditional Greek food. In high season the place is full and this affects the service a little. Yet the staff is friendly. We enjoyed the food and the romantic ambiance while watching the festive people going by. We stopped by chance at Dennis Taverna to ask for road directions. We liked the friendly staff and ordered lunch which was fabulous. The beef as well as the pork was tender, salads were fresh and delightful, and at the end, they served a free sweets. Our host in Laganas told us later that Dennis tavern in Lithakia was famous with Friday and Saturday live music evenings. It was worth visiting this tavern because it is located just at a few minute drive to Laganas. 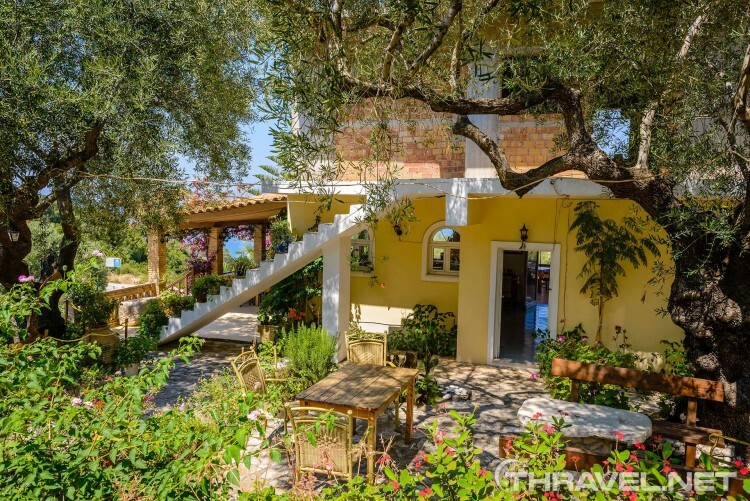 The owners claim that it is one of the oldest tavernas on the Zante island.